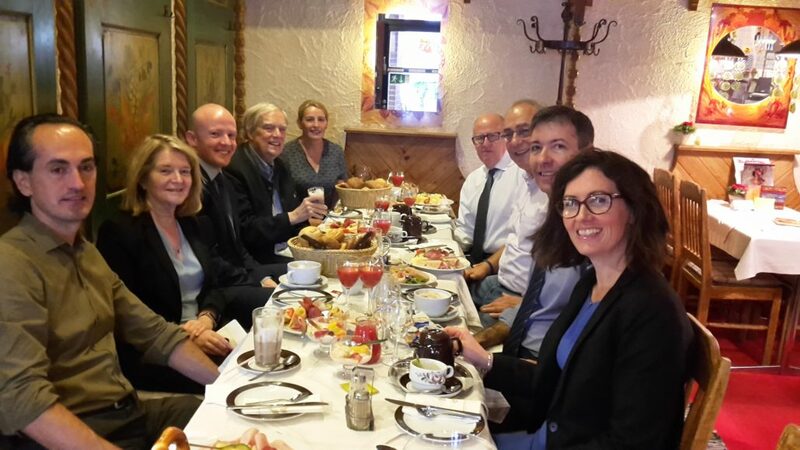 On September 21, 2018, the German Australian Business Council enjoyed an informal breakfast roundtable presented by QUT. GABC Board Members Eberhard Goihl and Elisabeth Opie had the pleasure of welcoming Professor Scott Sheppard, QUT Deputy President – International in Munich. Scott’s portfolio areas are international student recruitment, international research strategy and engagement. QUT is proud of its tradition in being able to secure internships for its students (domestic and international) and the clear benefits this has for both the students in preparation for the workforce and for employers who will have had the opportunity to see their abilities. Scott talked about the results of a recent QUT survey on the relevance of the University for its students, alumni, researchers and staff in connecting and working in the Real World. QUT Alumni can be found worldwide and remain an important part of the QUT community, both as ambassadors for the university and in supporting current students and research programs. Scott was accompanied by Shelagh Whittleston, European Representative, QUT and by Ian McFadden, Director QUT Global.